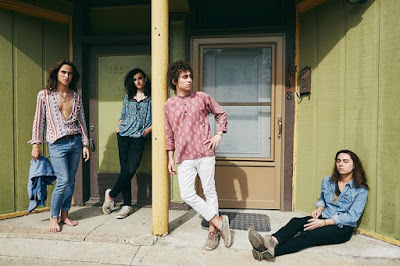 Greta Van Fleet performed at the opening weekend of the Austin City Limits Music Festival on October 5, and professional video of their full set is streaming online. Streamed live by hennemusic from Austin’s Zilker Park, the three-day event saw headline sets by Paul McCartney, Metallica and Travis Scott, as well as appearances by Arctic Monkeys, Deftones, The National, and many more; most of the lineup will return for the event’s second weekend on October 12-14. Greta Van Fleet will release “Anthem Of The Peaceful Army” on October 19; the debut was produced by Marlon Young, Al Sutton and Herschel Boone and recorded earlier this year at Blackbird Studios in Nashville, TN and Rustbelt Studios in Royal Oak, MI. The group just issued their latest single, “Anthem”, as they wrap up a North American tour this week before launching a series of European dates later this month.